Alien is partnered with system integrators and value-added resellers to optimize the integration of RFID solutions with enterprise software and hardware infrastructure, and other related business and enterprise applications. For over 13 years, AbeTech has been the premier data collection and labeling company in the midwest, focusing on client and market driven solutions in all forms of data capture, transmission and visibility. AbeTech's fields of expertise have expanded over recent years to include RFID integration of both EPC compliance and infrastructure based solutions to their suite of offerings. An EPC Global member, Acsis specializes in real-time business process automation, specifically mobile data collection and RFID solutions for SAP R/3 environments. Acsis has proven real world experience in the implementation of enterprise wide mission critical RFID and data collection technologies, combining it's proven software applications with an experienced service oriented implementation methodology. Acsis Data-Link web services based integration provides a robust scalable platform for the deployment of RFID throughout the enterprise. 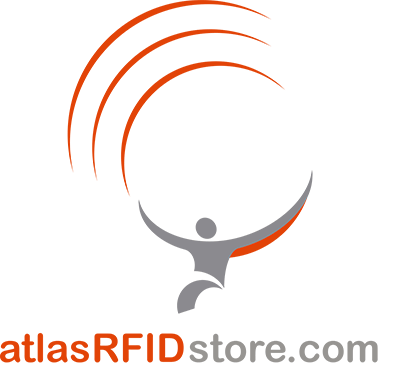 The atlasRFIDstore team focuses on creating the absolute best customer service experience and works with you to select the right RFID equipment for your systems. Our sales engineers are highly trained in the field of RFID and are ready to answer your questions, big and small. While we may not immediately have an answer, we’ll diligently work for you to find a solution. Barcodes, Inc. is North America’s leading provider of barcode, mobile computing, and RFID solutions. Since 1994 we have worked hard to earn a reputation for being dedicated, reliable, and customer-oriented. Additionally, we are product experts with deep experience in field mobility, inventory, asset tracking, and point-of-sale solutions. BDEV develops integral solutions for tangible asset management in Latin America. Placed in Argentina, we are specialized in RFID. For BDEV, technology is an essential tool for the optimization and constant improvement of client's business processes. Our portfolio covers from site survey, for the design and validation of RFID implementation, to process and software development, in order to support clients to find the best path among all possibilities. BlueBean is a RFID consulting and systems integration company that focuses exclusively on RFID solutions and simplifying the implementation of RFID technology. We guarantee our clients a solution that successfully meets their business needs based on our real world knowledge, extensive expertise, background in process improvement and certifications from the top RFID manufacturers. BlueBean provides a custom roadmap of the steps required to achieve your goals and offers services and resources to implement and support the solution. In addition, BlueBean owns the largest suite of RFID-related websites and leverages these to provide companies internet visibility for their products and solutions. Alien Technology has partnered with BlueBean to become the Cornerstone Sponsor of RFIDTags.com. Alien’s entire RFID tag product line can be found on RFIDTags.com and their RFID reader and RFID handheld products can be found on RFIDReader.com. Cannon Equipment – part of IMI Merchandising, is a leading design, engineering and manufacturing organization in the United States. We operate businesses in three major areas: Point-of-Purchase Displays, Merchandising and Distribution Carts and Material Handling Equipment. Cannon Equipment is headquartered in Rosemount, MN and has in-house manufacturing facilities in TN, MN and CA. CDO Technologies is a systems integrator specializing in the design, sourcing, implementation and support of automatic-identification, enterprise application and mobility solutions. More than 100 CDO professionals serve federal, municipal and commercial customers from the manufacturing, service, healthcare and government industries. CDO Technologies uses off-the-shelf technologies to create off-the-charts business value! MarkMagic® Bar Code Labels, RFID Tags and Forms Software empowers customers to design virtually any type of Auto-ID document – labels, forms, RFID tags, tickets, etc. – and print them on hundreds of types of general and specialized printers from laser to thermal to automated applicators. MarkMagic has been selected as the Auto-ID print engine of such leading software developers as Manhattan Associates™, Infor™ and VAI™. CYBRA software solutions run on all major computing platforms, including Microsoft Windows, Linux, Unix, cloud and IBM Power Systems (System i, iSeries, AS/400, AIX). CYBRA Corporation is located in Yonkers, NY. Product information is available toll free at 1-800-CYBRA-88. CYBRA is represented by a network of value added resellers throughout the United States and sales and support offices overseas. To request information via e-mail, write to: info@cybra.com. DI2S is a leading provider of fully integrated business-to-business solutions that manage the flow of critical e-commerce information for global trading communities. The DI2S RFID Data Manager is a central system that controls all components of each RFID solution implemented by DI2S. The DI2S RFID Data Manager www.wrfid.com.br controls Readers, Tags and Tagged Objects, filtering and aggregating information transmitted from RFID Readers. RFID data (observations) are automatically filtered, interpreted and semantically transformed into business logic, so they can be quick integrated into your business applications. Data transmitted from RFID Readers are converted to documents in any format specified by the user and/or used by the legacy system of your company (XML, X12, EDIFACT, TEXT and others). 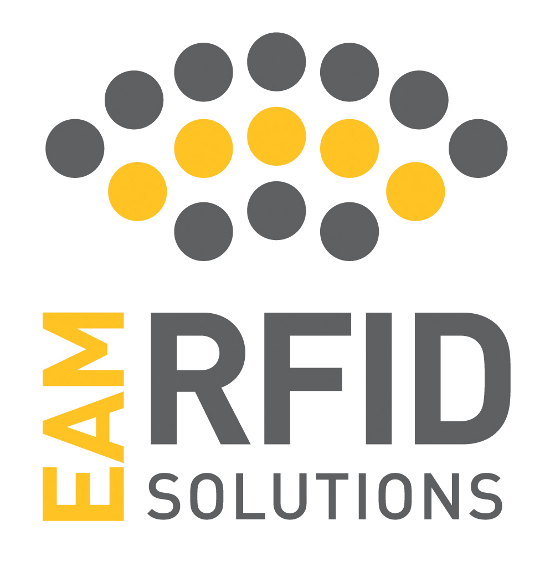 EAM RFID Solutions was founded on the drive and ingenuity of EAM Worldwide, a 64 year manufacturer of life vests and life rafts. EAM was one of the first to patent RFID technologies in the aviation industry with RFID enabled life vests since 2007. EAM RFID Solutions offers a customized system of hardware and software that can be seamlessly integrated into an existing infrastructure or it can run as a standalone system. Our team provides comprehensive project management from the very first consultation, across all integration and implementation stages to the final training and ongoing technical support. EAM’s focus is aviation but our solutions have been used for non-aviation inventory tracking of RFID enabled and/or barcoded assets. Our mission is to help businesses gain increased visibility while reducing costs & manually intensive tasks by utilizing the latest technology for asset management. Element ID is a specialty integrator focusing on full turnkey RFID solutions for manufacturing and warehouse customers. The company can help in all aspects of the project from design through sourcing of all required equipment and tags, setup, service, and support. Element ID also supplies and integrates barcode scanners, scales, dimensioners, and IoT appliances. A key feature of Element ID projects is the ability to directly integrate with the customer’s existing ERP. WMS, MRP, asset tracking, or other proprietary software solutions. At Evanhoe & Associates… It’s all about the data! ™ – your data! We are a full-service Information Technology (IT) solutions provider and systems integrator. As nationally recognized experts in data integration and transformation, we successfully develop solutions for regional, national, and international companies and state/federal agencies. We help our customers improve efficiencies, gain competitive advantage, and effectively utilize valuable information assets to drive revenue and bottom-line performance/mission accomplishment. Our mission is to design and build world class solutions for capturing data and making it actionable. We accomplish this through our proven IT and automatic identification data capture/RFID (AIDC/RFID) solutions that are backed by our ISO 9001:2008, ISO/IEC 20000-1:2011, & Software Engineering Institute (SEI) CMMI Maturity Level 2 certified software development and service management processes. We are proudly a service-disabled, veteran-owned small business (SDVOSB) and an Ohio certified Minority Business Enterprise. Our business is, first and foremost about developing the right solution for you! FALKEN Secure Networks Inc. (FSN) is a leading wireless technology consulting and system integration firm that provides system design consulting, technology selection, project management, system integration , installation, training and technical support for mission critical Automatic Identification and Data Capture(AIDC) and Real-Time Data Visibility utilizing Passive and Active RFID, Biometric Palm-Vein Scanning, Biometric Digital Signatures, GPS, IP Video Surveillance, Location Services, Wireless Sensor Networks , Fleet Management, Secure Enterprise Communications and high capacity 802.11n Wireless LANs and WIMAX. We custom tailor the system design and technology selection and implementation to the specific customer’s requirements with a priority on deploying Best-In-Class industry-standard hardware and software. FSN’s strength is achieving exceptional RFID and Biometric system performance in complex and challenging operational environments for enterprises globally. FleetMind combines its extensive industry expertise with practical, leading edge technology to approach Waste and LTL companies’ fleet management issues in a holistic and fully integrated manner. FleetMind features an end-to-end offering that includes all the key components required to run Waste and LTL fleets more efficiently and profitably – wireless communications, driver terminals, automated service verification, business intelligence systems and more. As FleetMind customers, Waste and LTL firms typically see: a) dramatically improved service efficiencies, billing accuracy, and customer service experiences, b) sharp increases in bottom line benefits, c) complete visibility into fleet and business operations, and d) significant reductions in resource requirements. Fluensee’s RFID-enabled asset tracking and management solutions improve the visibility, accuracy, security and utilization of a company’s mobile and fixed assets. Its end-to-end solutions combine highly configurable software and implementation services with hardware from leading RFID, barcode, GPS and/or sensor technology providers. Fluensee’s solutions include its entry-level AssetTrack Express™ and enterprise-class AssetTrack™, along with its Fluensee Yard™ application for managing assets in yard environments. IBM is the world's largest information technology company, with 80 years of leadership in helping businesses innovate. Drawing on resources from across IBM and key business partners, IBM offers a wide range of services, solutions and technologies that enable companies to take full advantage of the on demand era. IDentiTRAK Technologies, a Consolidated Products Company, specializes in providing turn-key EPC Compliant RFID solutions to a variety of industries. By leveraging real world experience with one of the nation’s most extensive hardware agnostic RFID Lab Facilities, IDentiTRAK Technologies delivers “best of breed” solutions to their cliental. For more information on IDentiTRAK Technologies call 1-800-800-0368. IDZ (RFID-Mexico) combines multi-disciplinary team members to provide business process optimization and enterprise applications with the best RFID infrastructure layer. IDsys business model incorporates a comprehensive process & technology approach with RFID technology as core offering. It's mayor process re-design practice focuses on Supply Chain Management. Specific applications span Warehouse, Route and Shipment Management, Purchases, Asset Tracking & Management, within others and Value Stream Management focused in Production Processes and elimination of non value added activities and waste elimination. Imagine Print Solutions is one of the country’s largest printers, at $100 million plus in annual sales. 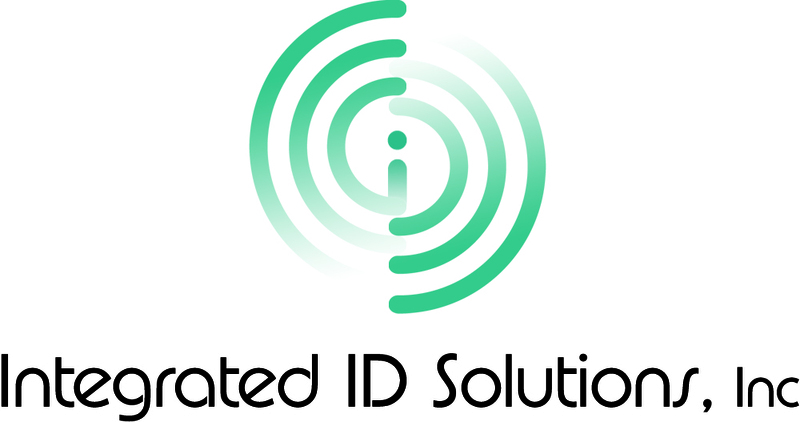 Imagine is a manufacturer and integrator of comprehensive RFID solutions providing our customers with everything from large integrated automatic labeling systems for RFID applications, RFID Middleware software and hardware, RFID inlay selection, services, RFID certification training courses. Coupling this with a knowledgeable installation and technical support staff to meet or exceed all of our customer requirements for their automated and RFID mandated labeling requirements. InfinID Technologies is a leader in state-of-the-art .net enterprise software solutions. InfinID’s idWorx! software suite provides a complete cost effective solution for DoD and Retailer mandates on RFID and Unique Identification (UID), with fully integrated EDI and automatic ASN reporting. idWorx! is intuitive, powerful, complete, and modular. idWorx! allows suppliers to start mandate operations in a low impact manner with a completely stand-alone workstation, and then as experience grows to seamlessly migrate to multiple work-stations communicating with a shared database on a centralized server, and full ERP back-end systems integration. idWorx! allows DoD suppliers to easily achieve full UID part marking and RFID tagging compliance, with fully automated WAWF submission of UID, RFID and contract data. For Retailer suppliers to Wal-Mart, Target, Best Buy, and others, idWorx! provides a scalable solution to product RFID tagging and unique serialization, from low-volume manual operations, through to high-volume operations using conveyors and label applicators. inLogic provides RFID asset tracking software that saves time, reduces operating costs, and improves fixed asset visibility for Education, Government, Defense, Aerospace, Research, and private-sector organizations. Our commercial off-the-shelf (COTS) software platform, RFTrack.NET, automates fixed asset inventories, helps locate missing assets, improves asset utilization, and tracks the movement of assets to improve visibility. RFTrack.NET supports passive and active RFID, and is designed to easily integrate with Financial, Asset Management, ERP, and other back-end systems to automate the physical tracking of fixed assets. InSync Software, Inc. provides software solutions that leverage RFID, GPS and sensor technologies to locate and track assets, improve operational efficiencies, and manage risks. InSync’s innovative software combines sensory data and enterprise information (via ERP, WMS, etc.) to actively manage assets regardless of their location. InSync's solutions provide customers with advanced levels of process governance and collaboration across disparate businesses and significantly reduce application development and deployment times. Integrated ID Solutions, Inc. helps our clients take advantage of the latest wireless communications, automatic identification technology (AIT), and Internet of Things (IoT) solutions by taking the risk out of project planning, design, and turnkey implementation. As an independent, experienced advisor, IIDS has full flexibility to recommend the best approach, the optimal technologies, and the most trusted partners to meet specific client needs. Since our founding in 2005, this approach has been validated by many successful projects for key public sector and commercial clients. We identify process gaps and enhancement opportunities, plan process improvements, define system architectures, implement integrated solutions, and develop relevant metrics through data analytics to assess performance and value to highlight return on investment (ROI). The Department of Defense, Department of Homeland Security, Department of Energy, Fortune 100 companies, and global organizations with challenging requirements all depend on IIDS as their trusted advisor. ITG (Infamation Technologies Group, LLC) provides full service information technologies and automation engineering solutions dedicated to delivering leading edge automation and integration services. Specializing in control systems, integrated information systems as well as custom RFID applications, ITG has provided numerous diverse technology solutions. We at ITG know and understand today’s high productivity demands and requirements for production and performance management solutions. The ever growing high expectations for collaboration between information and automation systems is what makes ITG the ideal partner to facilitate ideas and solutions while continuously considering a solid services-oriented philosophy. These are all fundamental concepts and elements that dissolve within the cross functional mechanisms of information exchange which ultimately bind decision makers, business rules, and the execution and control systems they manage. ITG is committed to providing the highest quality automation technologies solutions and IT design services on time and on budget, measuring our success by our customer’s satisfaction and business success. Lowry Computer Products is a leading manufacturer, systems integrator and software provider of RFID-EPC products, wireless, barcode and data collection solutions with an install base of several thousand customers. Lowry’s end-to-end solutions for food safety traceability, asset management, supply chain visibility, work-in-progress, track and trace, and mandate compliance deliver real ROI for its customers. Lowry also manufactures fully converted, tested and ready-to-use Smart Trac™ labels with Gen 2 inlays as well as automated labeling systems for supply chain, packaging and RFID software applications. Through its 15 U.S. sales offices, 25 service centers and a nationwide network of more than 200 service partners, Lowry provides certified technical support and trusted customer service throughout North America. MARKEM Solutions provides fully integrated solutions to help companies comply with RFID and EPC requirements and leverage them in their supply chain. MARKEM integrates this capability wherever necessary in the supply chain including production lines, distribution centers or at third-party logistics partners. Our RFID solution is comprised of software, hardware, services and supplies for the automated encoding and application of RFID tags at production line speeds, as well as EPC data management and integration. The process of programming and applying RFID tags is a natural extension of our more than 90 years of trusted reliability in product identification. Miles Technologies has been automating the warehouse for over 20 years! As a premier system integrator and application software developer, Miles Technologies is dedicated to accelerating the adoption rate of RFID technology with practical cost effective solutions! Our solution suite consists of three components. First, www.RFIDLabeling.com, a web site for helping customers understand how to implement RFID solutions. Secondly, The RFID Benchmark LAB is a world class training and demonstration center near Chicago's O'Hare Airport…see www.RFIDLabeling.com for the seminar schedules and RFID education curriculum. Third, the Compliance Partner vRFID compliance labeling software! Millennium Technologies is a full service distributor for Alien Technology RFID products, with the highest Alien Academy Certification. We are also an RFID Certified full service distributor of Printronix RFID printers. This winning combination of Alien/Printronix, along with our RFIDit™ reader software, makes us your one stop for full RFID implementation. To complete your distribution center requirements, Millennium also distributes and installs complete RF infrastructures. For more than 30 years, MSM Solutions has provided solutions focused on the integration of Auto-ID technologies for a wide range of industries including manufacturing, logistics, distribution, healthcare, retail and apparel. Leveraging our expertise in Barcoding and RFID Technology, our expert staff has tailored solutions for customers around the World. MobileXe Inc. is a successful integrator of supply chain and manufacturing execution systems. MobileXe integrates RFID, Barcode Data Collection, Labeling, WIFI Networks, Material Handling, and Packaging systems into a single infrastructure. MobileXe is objective, as we maintain numerous business alliances in order to service our clients. Our clients have a wide array of systems and business processes. Our experience closes the gap between product specifications, business concepts, pilots and real-world performance. We have dozens of successful RFID references in the Aerospace, Agriculture, Automotive, Consumer Products, Life Sciences, Electronics, Retail and Medical Device industrial sectors. We are well versed in today's mandates and tomorrow's governance, including ePedigree and Food Safety. Moviltrack is a Top leading company based in Mexico with over 20 years of experience in the Latin-American market, providing engineering development and solutions for RFID automation, tracking and management; specializing in government, health care, mining and IT Datacenters. Our portfolio for event management system based in RFID is proved second to none for the top five pharmaceutical companies in the world. MyDealerLot (MDL) is the country’s leader in providing total process improvement through Automated Customer Recognition & Messaging Systems using RFID technologies. MDL systems are installed in leading U.S. dealerships such as Park Place, Sewell, Sonic Automotive, Fletcher Jones, enabling a ‘Ritz Carlton’ level of service, increased customer retention, improved CSI, and sales opportunities. MDL’s Dispatch Master and Zonal Tracking provide web based zonal location tracking and vehicle dispatching systems. MDL is fully integrated with leading industry partners in Sales Analytics, Guest Text Messaging, Wireless Tablet RO Systems, Loyalty Programs, TSD / ATMS Loaner Management, and Tire Scan Analysis systems. Visit www.mydealerlot.com or call 1-888-MDL-RFID (1-888-635-7343) for more information. ODIN technologies is the recognized leader in the physics of RFID infrastructure testing, deployment and certification. ODIN is focused solely on RFID and it's best of breed solution design and deployment approach has been chosen by more Wal-Mart, Target and DoD suppliers than any other RFID specialist integrator. ODIN technologies leverages its team of RF engineers, physicists and software developers combined with its laboratory facilities to provide RFID consulting services to major retailers, consumer goods manufacturers, United States government agencies and other RFID early adopters. ODIN has also developed the industry's first physics based suite of RFID tools that enable faster and higher quality deployments based on scientific measurement. These tools are leveraged by both ODIN and our partner integrators to ensure RFID deployments are correct the first time. ODIN labs is the publisher of the RFID Benchmark Series, the only independent, head-to-head performance comparison of leading RFID tags and readers. ODIN technologies President and CEO, Patrick J. Sweeney II is also author of RFID for Dummies, the leading reference guide for RFID end users and implementers alike. Omnitrol Networks Inc. is a leading provider of converged service-oriented application network solutions for the emerging wireless, RFID and sensor automation market. The company's award-winning OMNITROL appliance and Edge Application and Services Engine (EASE(tm)) software have pioneered the market for "Always On" real-time web based operational visibility and automation solutions. The OMNITROL's unique edge-centric solution architecture enables the industry's most flexible and reliable means to deploy scalable application intelligent networks at the lowest total cost of ownership in the market. RACO Industries is a leading national integrator of handheld, wireless mobility and printing solutions designed to enhance productivity and effectiveness of a company’s workforce within or outside of the four walls of their organization. They increase the effectiveness of their client’s existing processes by delivering real-time visibility to their mobile information at the point of service. This is done by delivering efficient and reliable data capture information where, when and how customers need it. RACO Industries provides full package solutions for your barcoding, RFID, ID card and GPS needs. From device configuration to network provisioning, equipment staging, kit delivery, solution implementation, and ongoing support, RACO makes sure that every link in the chain is forged specially for you. For more than twelve years, RedLine Solutions, Inc. has been a leading systems integrator specializing in barcode, Radio Frequency (RFID), and Automated Data Capture (ADC) systems. We offer integration services to assist our customers in implementing cost-effective solutions. We specialize in solutions for warehousing, asset management, ERP, medical systems and more. Our customers range in size, from startups to Fortune 500 companies. RedLine Solutions is headquartered in Santa Clara, CA, with field offices in the Central Valley and Southern California. We quickly identify opportunities for process improvement. We always present appropriate alternatives. We implement practical, cost-effective solutions. We optimize solutions for your business. Call 888.801.2039 to speak with a RedLine Solutions Representative. RFID Global Solution was founded by some of the most experienced RFID engineers in the industry representing more than 140 years' combined experience. RFID Global Solution focuses beyond compliance to design and implement RFID solutions that satisfy compliance mandates and creates value for shareholders. RFID Global Solution's team deploys RFID solutions with confidence and certainty that only comes from their combination of "in the trenches" experience and high-level systems understanding. RFIDGS believes that properly designed RFID solutions create a value-generating proposition that works for you, not just the mandating organization. Successful implementation of the right solution can be challenging, that's why RFID Global Solution assembled a team of the best and brightest in the RFID industry who were involved in the largest RFID initiatives to date, including development of the world's largest RFID network for the Department of Defense and the move to RFID at the world's largest retailers. Rockwell Automation's customers can use a four-step methodology developed by the company to take them from RFID pilot projects to full-scale implementation of RFID, starting at packaging lines, across plants, and out to the supply chain. The methodology incrementally integrates and customizes the manufacturer's existing investments in control systems, assets, plant management and execution software, and information solutions to help manufacturers extract value from RFID more quickly and cost-effectively than any other competing alternative. SATO is a pioneer in the Automatic Identification and Data Collection (AIDC) industry and the inventor of the world's first electronic thermal transfer barcode printer. It revolutionized the barcoding industry by introducing the Data Collection System (DCS) & Labeling concept – a total barcode and labeling solution providing high quality barcode printers, scanners/hand-held terminals, label design software and consumables. SATO is one of the first in the industry to introduce a complete, multi-protocol EPC-compliant, UHF RFID solution. Siemens Logistics & Assembly Systems provide the logistics backbone for producers and distributors to efficiently move, store, control, track, and protect products in their plants, warehouses and distribution centers. The engineered solutions are built around process improvements, material handling automation, controls & software. Smart Label Solutions (SLS) is a process engineering and Radio Frequency Identification (RFID) solutions company founded in 2006 focused on automating and optimizing your supply chain. SLS offers all aspects of your turn-key RFID supply chain solution: RFID labels/tags, RFID label encoding & printing services, dock-door portals (smartPORTAL), fixed readers, hand-held readers, RFID-enabled printers, RFID software (both application and embedded) and installation services. Tegron is an award-winning, independent professional services firm with a growing international footprint. We specialize in providing Business & Technical Consulting, Automation & Control, and Plant Support services to clients in a variety of industries. Since 1986 we have been helping our clients design and build the future into their business and production systems. Our focus on their long-term success has helped the clients we first served in 1986 to become leaders in their respective industries. Since 1982, The Danby Group has provided Fortune 1000 companies with leading edge data collection products and systems. Specializing in RFID solutions, we can supply the necessary hardware and software components, and provide full integration with new or legacy systems. Complete project management, installation and training services give our clients the confidence to choose enterprise-wide strategies that make sense today and will remain viable long into the future. The Danby Group will help you understand how your investment can improve profitability and accountability in many areas of manufacturing, distribution and logistics, taking your enterprise beyond mere compliance. The Kennedy Groups RFID Turnkey Solutions enables you to advance your business to a new level of efficiency and improve visibility of your inventory as it moves across the supply chain. Whether you're looking to increase productivity or effectiveness we have solution for your real-world problems. Our RFID Customer Solution Center provides you with an automated environment specifically designed to test smart labels and cards so businesses can learn more about the technology and how it will improve their inventory control and customer service. For more information, contact The Kennedy Group today at (440) 951-7660. TransTech Systems is in the business of providing industry leading identification solutions. The ability to research, recognize and implement changing technologies has made TransTech Systems an established leader in the ID Badging and access control field, and it brings this expertise to the UHF RFID market. Building and maintaining partnerships with customers and suppliers, supported by the best people, best practice services and industry leading products ensures that TransTech Systems will continue to be a leader in value-added, RFID Solutions distribution, well into the future. Unisys is a global information technology services and solutions company. Our people combine expertise in consulting, systems integration, outsourcing, infrastructure and server technology with precision thinking and relentless execution to help clients, in more than 100 countries, quickly and efficiently achieve competitive advantage. Unisys Global Visible Commerce (GVC) solutions and services enable organizations to track, trace and secure goods and assets leveraging technologies, such as RFID, cellular, and GPS. Tailored to meet the needs of life sciences, consumer products, retail, automotive, transportation and public sector organizations, GVC solutions make it possible to improve supply chain visibility, efficiency and security; while reducing risk. Unisys is proud to partner with Alien in delivering these world class solutions to our customers. GVC Solutions include: In-Transit Visibility Guardian Anti-Counterfeiting Asset Tracking & Management Secure Commerce & Port Security RFID Infrastructure Services Unisys provides a full range of RFID services, including assessment and planning, implementation, outsourcing and infrastructure, and managed utilities. Utilizing best practices developed from 40+ GVC engagements, Unisys solutions integrate best-of-breed software and devices, like tags and readers from Alien. We have long-standing partnerships with top providers of enabling technologies and enterprise systems. As a founding member of EPCglobal and an active participant in many standards bodies, we have played a leading role in establishing standards for electronic product codes and global data synchronization. Venture Research Inc. has specialized in Supply Chain applications for over 20 years, including Warehouse Management and Execution Systems design, development and integration. VR's RFID offerings include "Slap & Ship" systems, dock door portals, conveyor tunnels, tagging and carton profiling. Additionally, VR provides consulting services on best practices for RFID installations. Headquartered in San Diego, CA, WFI is an independent provider of systems engineering, network services and technical outsourcing for the world's largest wireless carriers, enterprise customers and for government agencies. The company provides the design, deployment, integration, and the overall management of wired and wireless networks which deliver voice and data communication, and which support advanced security systems. WFI has performed work in over 100 countries since its founding in 1994.